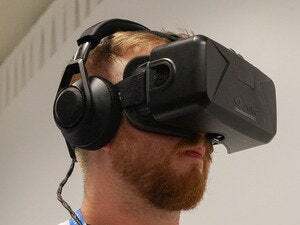 Virtual reality headset maker OculusVR recently came under attack from game development company Zenimax Media, and now Oculus is hitting back. On Thursday, Zenimax accused Oculus of stealing core technology that made the Oculus Rift headset a reality. But on Monday Oculus responded saying the charges are nonsense. "We are disappointed but not surprised by Zenimax's actions and we will prove that all of its claims are false," Oculus VR said in a statement via e-mail. Oculus also said "there is not a line of Zenimax code or any of its technology in any Oculus products." Zenimax's core claim is that legendary game programmer John Carmack (pictured above) created code for Oculus while he was a Zenimax employee and then gave that Zenimax-owned intellectual property to Oculus VR. 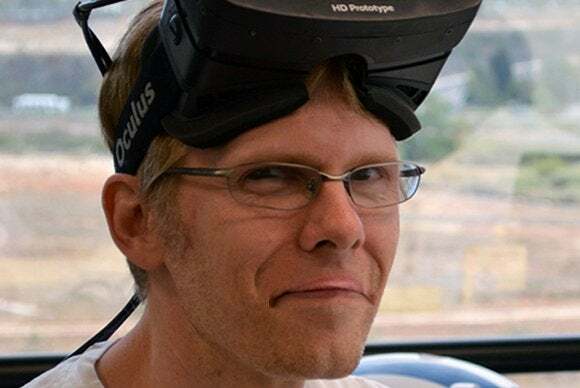 Carmack—known for his contributions to titles such as Wolfenstein 3D, Doom, and Quake—became chief technology officer for Oculus VR in August 2013 and officially resigned from Zenimax-owned id Software that November. Carmack co-founded id in 1991 and remained at the company after Zenimax acquired it in 2009. Before he left id, Carmack was in touch with Oculus co-founder Palmer Luckey. Carmack even showed off the capabilities of an early prototype of the Oculus Rift at the Electronic Entertainment Expo (E3) in June 2012. Despite their apparent early collaboration, Oculus disputes the notion that Carmack brought any Zenimax technology to Oculus. "John Carmack did not take any intellectual property from Zenimax," the company said. "Despite the fact that the full source code for the Oculus SDK is available online developer.oculusvr.com, Zenimax has never identified any 'stolen' code or technology." To hear Oculus tell it, Zenimax's claims are more about the VR headset maker's recent $2 billion acquisition by Facebook than anything else. "Zenimax did not pursue claims against Oculus for IP or technology...and only after the Facebook deal was announced has Zenimax now made these claims through its lawyers." For its part, Zenimax says it has been seeking compensation for its alleged IP since August 2012, according to The Wall Street Journal. That may be a reference to Zenimax's attempt to get a piece of Oculus two years ago as part of a business deal to bring Doom 3 to the Rift. The original Kickstarter version of the Oculus Rift was slated to come with a version of id's Doom 3: BFG Edition. But that offer never materialized and Kickstarter backers were offered store credit for Valve's Steam store instead. The reason for Zenimax dumping Rift support was never made clear, but according to Oculus it was all about getting a stake in the headset maker. "Zenimax canceled VR support for Doom 3 BFG when Oculus refused Zenimax's demands for a non-dilutable equity stake in Oculus," the company said. Since Carmack's relationship with Oculus overlaps significantly with his time at id it may be a while before the courts can sort out where Carmack's work for Zenimax ends and his work for Oculus begins.